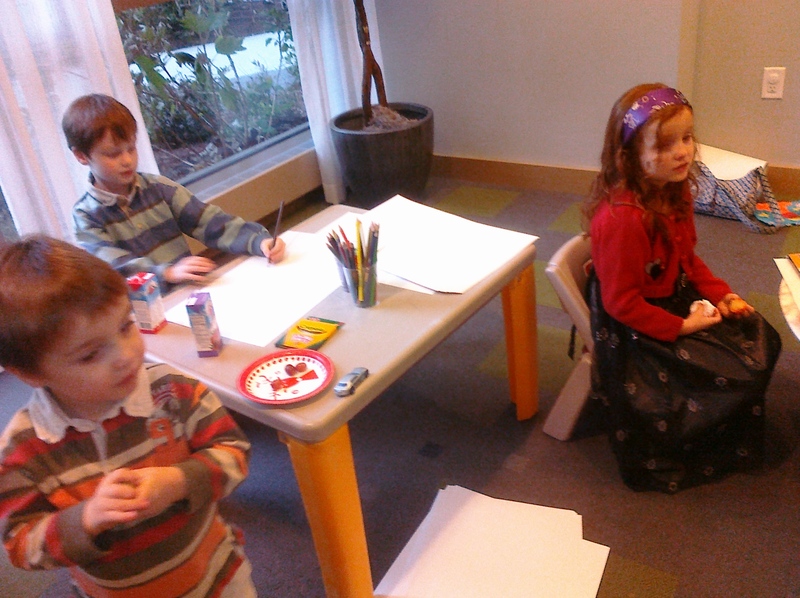 Mike’s company had their Holiday Party today…and kids were invited! They had coloring stations set up and Christmas movies playing in the background. I think the CEO mentioned that there are about 30 kids. There are only 12 employees!! It was cool to meet everyone … Mike works with a great bunch! As you can see…Maggie was a little droopy. We didn’t quite make it through to the end (but almost! )…and we’re definitely skipping The Nutcracker tonight.